My parents homeschooled me from 10th grade to 12th grade. 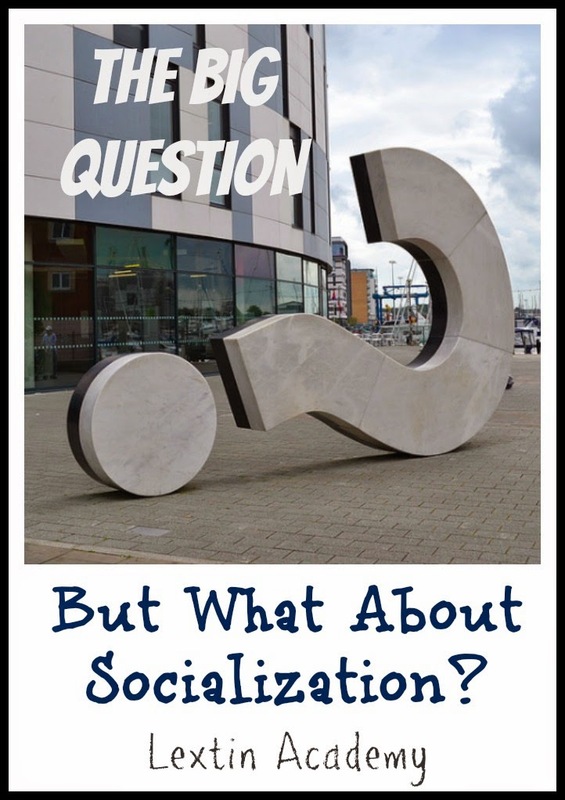 My mom heard the nagging question that every other homeschool mom, including myself, has heard many times over, “But what about socializiation?” Here’s her answer to that very annoying question. This question had to be, and possibly could remain, the most commonly-asked question of parents who home school their children. The question was asked numerous times when we decided to home school years ago. I am certain parents still receive the same inquiry if they choose to homeschool. No matter how a home-schooling parent answers the socialization question, there often seems to be a lingering doubt among those who ask. Surely a home schooled student just cannot be properly socialized after all! While knowing that to be determined, let’s also be rational about the matter. With certainty, home-schooled students can be socialized. However, the responsibility for that life-experience lies squarely on the parents’ shoulders. Home school students at any age must be and should be afforded opportunities to be active in social settings such as church attendance and involvement in church activities, home school group and coop activities, group field trips, community activities, and the chance to form friendships with children near their own age(s). All these options should be considered and encouraged in the home-schooling family. Additionally, the social opportunities offered through elective activities such as camps, and group classes, as well as participation in sports teams and camps designed for children should be explored. Such activities should be incorporated into the home school experience. Why is involvement in such activities so vital? We all understand that many, many people perceive home schooled students and families as very different. Truly, we have the ability to shine a light on the truth. Yes, home-schooled students are often very “different.” But, how can we, as parents and teachers, work to change the perception? Home-schooling families are often perceived as just staying in the house all day with no neighborhood connections with the people living around them. As home school parents, we should be reaching out to meet and greet neighbors, revealing that home school families are “normal” families who choose to educate at home. That’s the bottom line! Our children always had the opportunity to establish friendships with neighbors and children they met elsewhere. We worked diligently to host children and families in our home and be active in church and extra-curricular activities. Home school parents should find the best ways to incorporate social settings into the home-school life of their families. We were involved in home-school coops, taking a few elective courses with a group class setting. Also, we searched for coop classes we felt comfortable with, we allowed attendance in summer camps of all types, we were active in church and neighborhood activities, and we encouraged the formation of friendships for each child. Our main goal is not to try to change the perception of home-schooling families as being “different.” However, as home-school parents and teachers, we must be challenged to show others just how “normal” home-school children and families truly are, and the way to help in this endeavor is to teach our children how to be with a group, how to meet and greet people, and how to reach out to others.